Have you ever wished you could predict the end of the world? What about showing up to a movie date as a demented bunny and only answering questions about your appearance with philosophical questions of your own? We certainly wouldn't suggest it. In the dating polls we researched (we didn't actually research any) we found that ninety-nine people thought that showing up as a demented disaster predicting bunny on a first date was a deal breaker. The other one percent was down for it though! While we wouldn't suggest wearing this mask on a first date, it works wonders for a costume party! 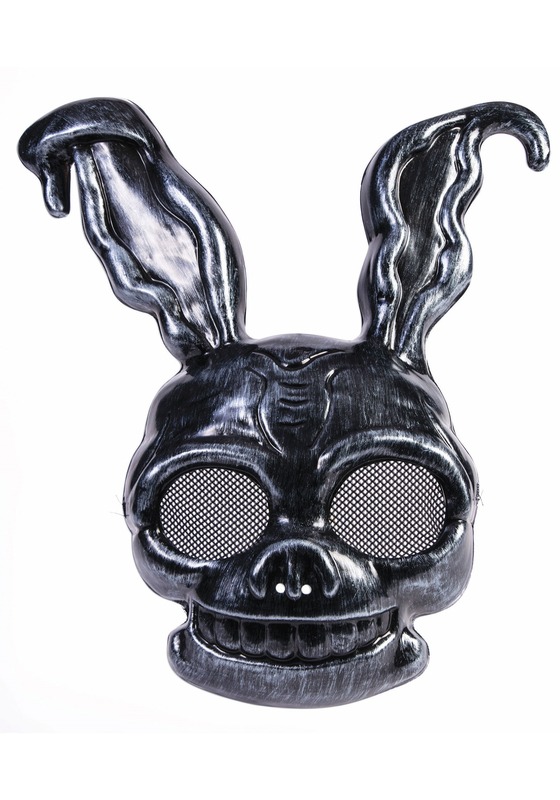 Pair this metallic mask with a simple hoodie and you've got a complete Halloween costume! Now all you'll have to do is practice saying numbers in a monotone, creepy voice. It could be the number of the local pizza delivery place or the address of the Halloween party. It doesn't matter what you're saying, it's all about the delivery. Say it with conviction and people will get creeped out because who would stay cheery in the face of this molten bunny look? So, hop along. A spooky Halloween night is a twenty-eight days, six hours, forty minutes, and eleven seconds away.